Make sure to select the Video option. 2. All you need to do is paste the video URL into the post editor. Make sure that the URL is in it’s own line and not clickable (hyperlinked). 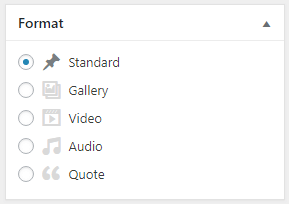 If you are using visual editor, then WordPress will immediately fetch the embed code and display the video inside post editor. 3. Upload a featured image for the post. This image can be a screenshot of your video. 4. You can now save your post and click on the preview button to see the video embed in your blog post.